The Safco Uber Big and Tall Chair is a comfortable office chair that provides excellent support for people of all shapes and sizes. 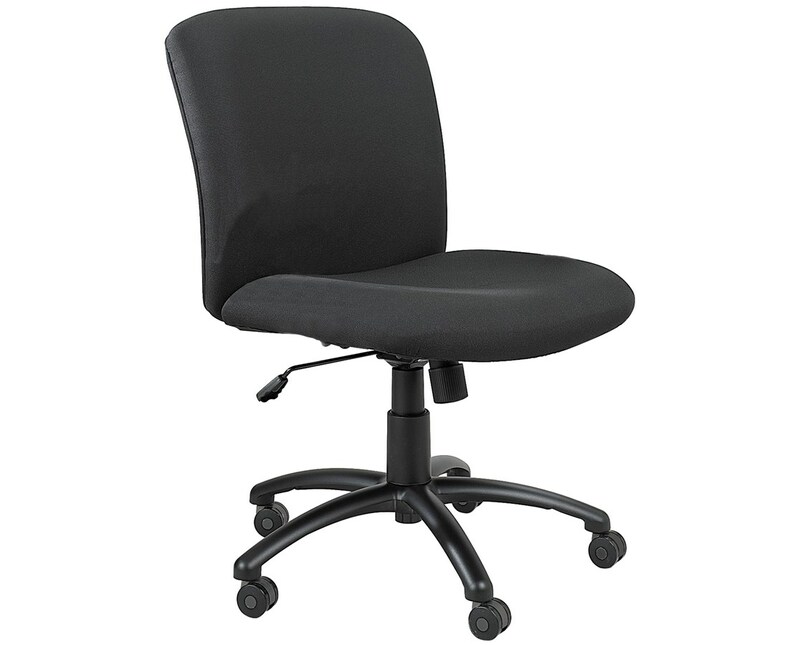 It has a variety of adjustable features, such as swiveling of the seat to a full 360 degrees and a height that can be adjusted with the pneumatic control lever. It also has a rocking mechanism with easily adjustable tilt tension and tilt lock. 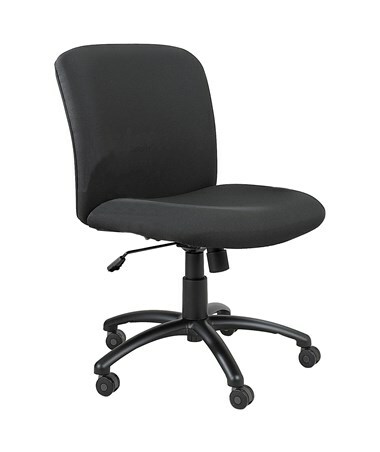 This big-and-tall chair has a weight capacity of 500 pounds and is rated for 24/7 service. 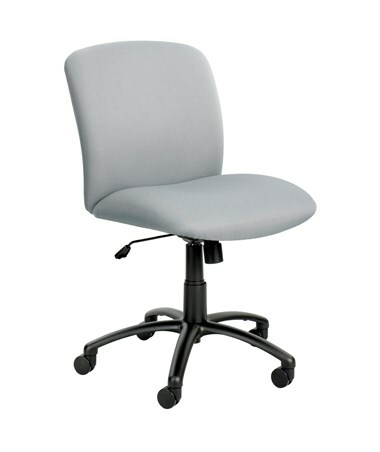 It also rolls smoothly on any surface with its five dual wheel carpet casters that are attached to the 27-inches diameter five-star base. The fixed arms and T-pad arms for Uber Big and Tall chairs are perfectly compatible with this unit. 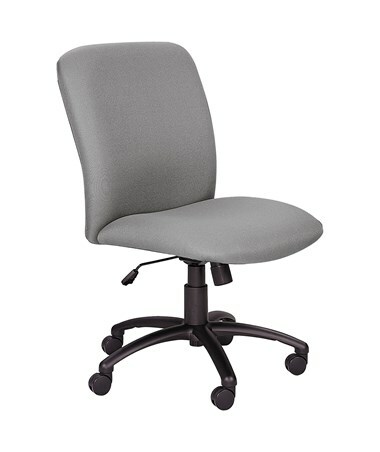 This desk chair’s base made of steel, while the back and the seat are nylon with thick foam padding. 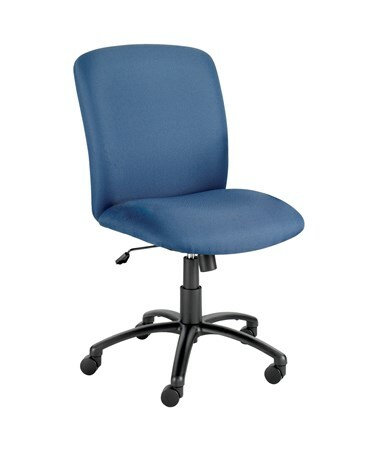 It is GREENGUARD certified for low chemical emissions, which means it helps keep your indoor environment clean. It also meets ANSI/BIFMA safety and industry standards. 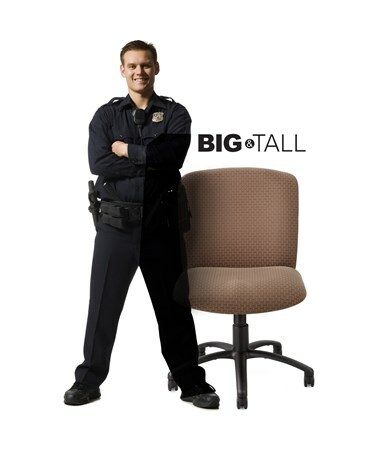 The Safco Uber Big and Tall Chair is available in different back types and colors. Please select your preference from the drop-down menus above.